Barbara is a national and international award-winning quilt artist, teacher and lecturer. Her quilts have appeared in publications and exhibits around the world. Her art quilt, "In the Beginning," was chosen as one of the best 100 American Quilts of the Century. 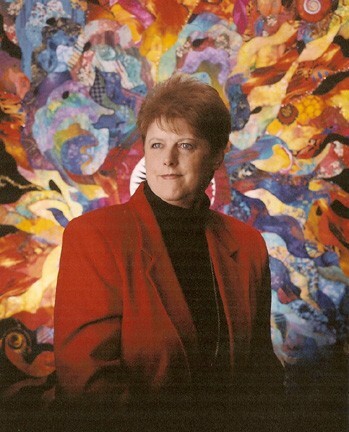 Many of her art quilts are included in private and corporate collections across the country. For the last 14 years, she has given workshops and lectures for those interested in expanding their unique creative talents through quilting. Her book, "Journey of an Art Quilter: Creative Strategies and Techniques," takes readers through her inspirational journey with exercises and techniques for creating art quilts. When she is not on the road teaching, lecturing or judging quilt shows, Barbara is at home in her mountain-top studio in Billings, Montana, with her husband, two dogs and two cats. Sat., 3/25, 9 a.m .- 4 p.m.